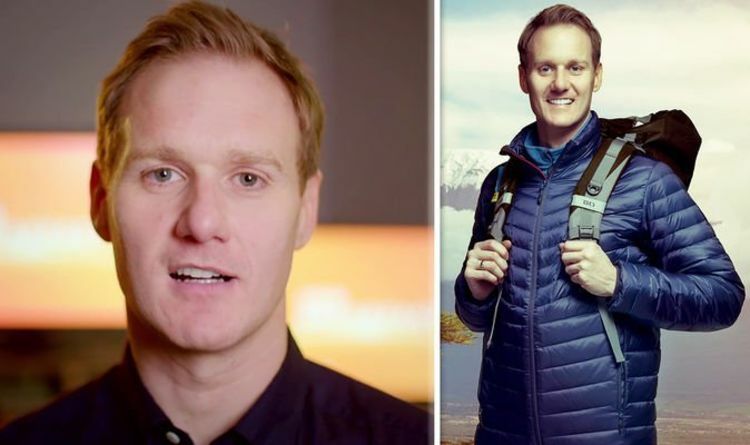 Dan Walker has addressed allegations he took an aircraft from the summit after climbing Kilimanjaro to raise money for Comic Relief. The 42-year-old presenter was asked whether he took a different route following the trek with stars including former Labour MP Ed Balls and Love Island 2018 winner Dani Dyer. On Twitter, a user who goes by the name of Andy Pandy seemed to question whether the BBC Breakfast host and his co-stars cheated. They quizzed: “Did you go back a different route? I was worried they were going to make you descend that almost vertical section. Going into detail about their journey down Africa’s tallest mountain, he added: “We walked the Northern Circuit up (which is long and not so popular) and then we went a much quicker way down. The father-of-five scaled the huge mountain with a host of famous faces to raise funds for Comic Relief and help support its projects in the UK. He recently revealed the stars had raised a whopping £27.7million for the charity and said he was “absolutely staggered” by the public’s generosity. Uploading a picture of the group on Instagram earlier this week, he penned: “Brilliant to see everyone last night. Absolutely staggered that the total now stands at £2.7 million quid. In the photo, the journalist is seen posing beside retired politician Ed, 52, and Pointless host Alexander Armstrong, 49. Little Mix’s Leigh-Anne Pinnock, 27, and Jade Thirwall, 26, as well as Love Island 2018 champion Dani, 23, were also in the picture. However, Strictly Come Dancing head judge Shirley Ballas and Loose Women regular Anita Rani were noticeably absent from the snap. BBC released the documentary – Kilimanjaro: The Bigger Red Nose Climb – on March 13, following the celebrities climb up the African mountain. In the programme Shirley, 58, admitted to struggling with the task before Dan made her laugh with his bizarre dance moves. Dan brought a smile to the ballroom dancer’s face when he attempted the Paso Doble during a break from climbing. Shirley was in the middle of an interview when the cheeky broadcaster interrupted to show off his dance moves.